Thank you for your letter. I appreciated the account of your conversation with the “senior commentator on religious affairs”. Maybe exchanging anecdotes isn’t a bad place to start. I received a phone call a few weeks after the selection of Justin Welby for Canterbury. It came from Lambeth Palace. Naturally, I thought it was a hoax, but it wasn’t. The Archbishop-Elect had been reading the Archbishop Cranmer blog for some time, and wanted to invite me in for a coffee. It wouldn’t be appropriate to share the (semi-remembered) details, but I recall, after about an hour of conversation, that he kept looking down at his watch. Mindful of his busy schedule, I offered to take my leave so he could get on with more important things. He apologised: it wasn’t that at all. He explained that his earliest priority had been to make Lambeth Palace “beat to the rhythm of a cathedral” (or a phrase very similar), and that his distraction was because he couldn’t recall whether he was rostered to preside over Holy Communion in the crypt on that day. He said I would be more than welcome to join him, which I did. In the crypt was +Justin, his chaplain, a nun and me. It felt like a private Eucharist for a menial blogger; an archiepiscopal homily crafted specially for me, the manifest outsider. I mention this because of ++Justin’s explicit desire that Lambeth Palace should “beat to the rhythm of a cathedral”. No matter what important business presses, the priority for the Archbishop-Elect was to kneel and pray; to feed on Christ. I don’t doubt that’s still the case. I think it’s significant that he didn’t become a curate at HTB, but chose instead to focus on peace and reconciliation in Coventry. Is it not possible to have an HTB and public-school Oxbridge CU/Evangelical background and to owe a debt to The Rule of Benedict? Your ‘despite’ suggests they are mutually exclusive. Isn’t such a journey evidence of the continuing renewal of the mind and deepening spirituality? You say that costs of participation in his Religious Order are “well beyond the means of most young people”. There’s actually no fee to join. They don’t reject anyone because of how little they can bring (nor do they accept anyone because of how much they can bring). The Community of St Anselm is about sacrifice, because (quite apart from the spiritual discipline) that’s the only basis on which its members can meet as equals. You ask what is specifically Benedictine about ++Justin’s ministry. Isn’t it apparent in emphases and attitudes (“let them prefer nothing whatever to Christ” [Holy Rule, Ch LXXII])? He is a Benedictine oblate: his daily balance between work, prayer/worship, stillness, study and rest is Benedictine in itself. His spiritual director is Roman Catholic, and he’s steeped in Catholic Social Teaching. He also goes off on retreats with Chemin Neuf (I know it’s not all Benedictine). I raised an eyebrow when he invited that group to move into Lambeth Palace. I wondered why a group built on the Jesuit foundations of St Ignatius should be chosen to pray and privileged to minister there. ++Justin clearly feels there’s much to learn from Ignatian retreats, which becomes a spiritual accompaniment to the Religious Order. It’s not very HTB/Oxbridge-CU, is it? When you read the Community’s website, the emphasis is on the inspiration of St Francis: all members engage in face-to-face service to the most vulnerable in society as part of the commitment. It involves hospital chaplaincy, homeless shelters, women’s shelters, foodbanks, estate children/youth work… The overwhelming impression is that ++Justin is concerned profoundly with the principles of the religious life. It may not be perfectly or exclusively Benedictine, but it is a profound and broad spirituality. You ask which part of ‘Reform and Renewal’ is shaped by The Rule of Benedict? I share many of your reservations about this programme – especially on leadership talent-spotting, fast-tracking, and training. Is it rooted more in business than any kind of theology? Possibly, but I’m not averse to the syncretism. I don’t quite agree that there is “no sense of theology being at the heart of the initiative”, not least because the entire House of Bishops believes this to be the way forward. Perhaps I’ll ask +Pete Broadbent to comment on the perceived lack of collaborative reflection and theological wisdom, because, if true, it would be a corporate omission; not simply ++Justin’s. I was particularly interested in the Parris quotation, and your observation of a “marked absence of salient and resonant ‘God-talk’, or any persuasive public theology”. I think ++Justin would be the first to acknowledge that he’s no great theologian, but I’m not sure why an archbishop should be expected to be so. Perhaps what he once said (years ago?) about Stott and Alpha gives a clue to his mission: Christian basics; a paradigm of salvation set out clearly and unequivocally in a context of spiritual confusion and religious relativism. Does the simplicity not resonate (not, I grant you, with theologians, for whom things are always more complicated). None of this persuades me that ++Justin is not pre-eminently concerned with God, Christ, and the inner life. I’m puzzled that if the plea is “for the church to talk less about its own concerns, and instead to dwell more on God”, to see that you are among those who urge focus on matters of gender and sexuality. ++Justin does talk a lot about God and Jesus: it just gets buried beneath foodbanks and gay marriage. During his visit to Amatrice, Monsignor Domenico Pompili, Bishop of Rieti, was asked: ‘Where is God?’ He replied: ‘Perhaps we should connect that question to another: “Where is man”’ Pompili was talking about the corruption, negligence and incompetence..
I’m not sure an admission of doubt “drives the public further away”, as you say. Further away than what? Do you think ++Rowan attracted the public to the church? 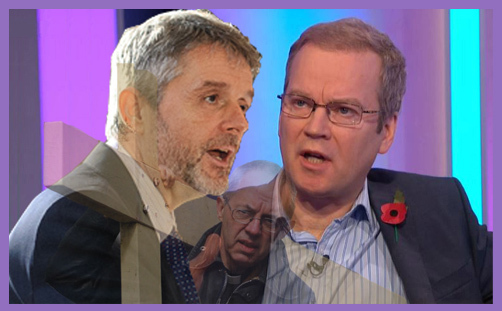 What did Carey or Runcie say “wisely and inspiringly” about God? Doesn’t it all rather depend on one’s own theological apprehension? ++Justin has only been in office for two years: it seems unfair to compare his ministry with his predecessors’ decades, but his theology appears to be a post-affilial one of service and civility; applied national evangelicalism. Perhaps ++Justin is the kind of bishop best judged by the fruit of his labours than the inspiration of his words. St Augustine said: “If you see charity, you see the Trinity.” Doesn’t what he is doing look like the missio dei? Is Justin Welby not showing the world Jesus?